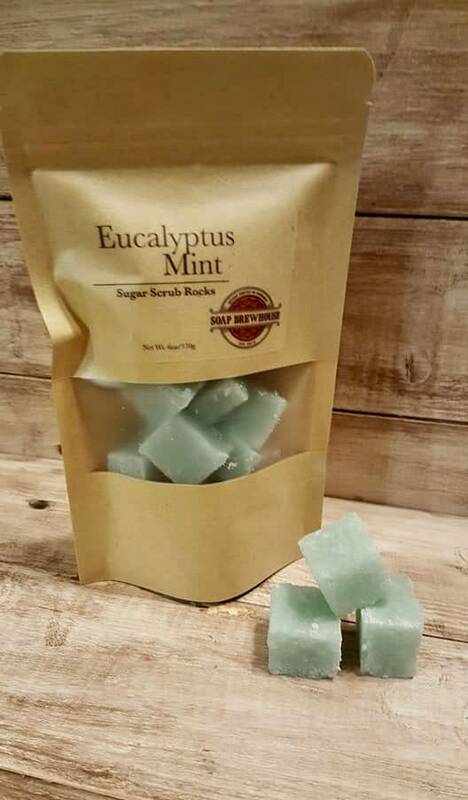 Eucalyptus Mint Sugar Scrub Rocks are all the rage! No mess, no spills, great for travel. 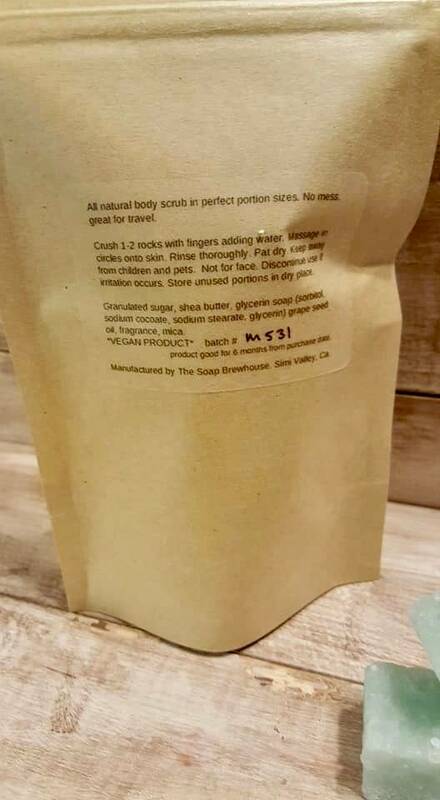 Perfectly portioned scrub rocks to exfoliate & smooth your body (not for face). Simply take one or two rocks, add bit of water, crush with fingers and clean, smooth, & moisturize all in one! Loaded with shea butter & grape seed oil to soothe and soften your skin. 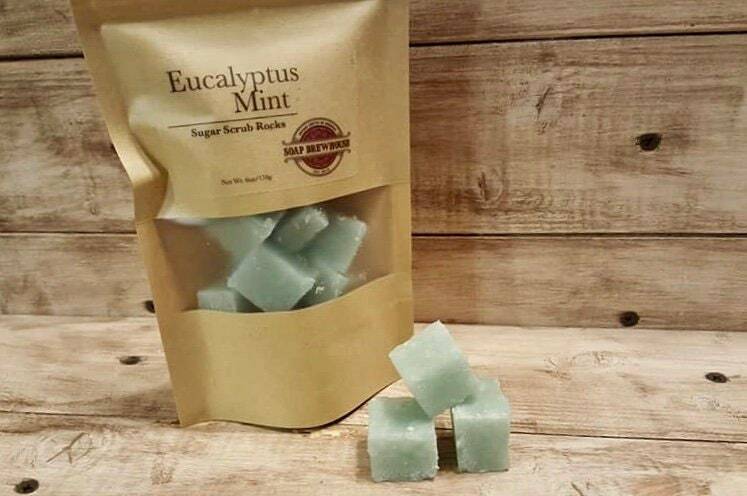 Eucalyptus Mint is herbal, spa scent sure to leave you feeling relaxed and smelling great! 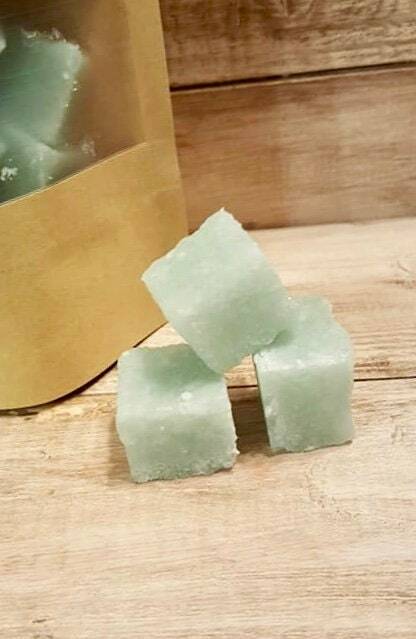 Granulated sugar, shea butter, grape seed oil, glycerin soap (sorbitol, sodium cocoate, sodium stearate, glycerin). fragrance, mica.